Do you want your kiddies to dance? And learn? In Spanish?? I always do! I was so excited to receive a copy of Whistlefritz's new ¡Sabor! 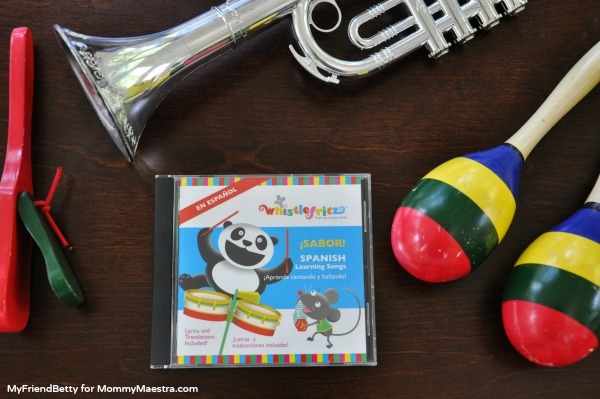 Spanish Learning Songs CD so that I could review and post a giveaway for a lucky Mommy Maestra reader! The minute I heard one of the songs, I was hooked. There are salsa, merengue and ballad beats in all the songs. I appreciated listening to lyrics created for children with rhythms that reminded me of growing up with my mami's Spanish cumbias and rancheras! The best part is that each lively song introduces appropriate Spanish vocabulary for words and phrases children use everyday. 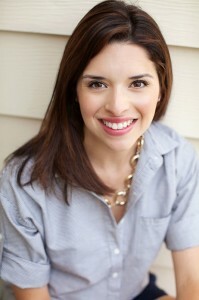 A translation guide is included, providing an easy reference for parents and teachers who are learning Spanish, too. I am thankful for the lyrics included in the inside cover of the CD. My boys are already learning new songs. Their favorite so far is En el rancho de MacDonald. It's adorable to listen to the kids sing in the car. Whistlefritz is happy to participate in the Back-to-School Fiesta and has kindly offered a copy of ¡Sabor! Spanish Learning Songs CD to a Mommy Maestra reader! Please use the Rafflecopter below to enter. Good luck!